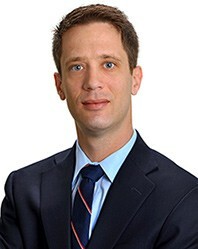 Todd Feinstein is licensed to practice law in Florida, his focus is on corporate, securities and immigration law. He has served as securities compliance counsel to Island Stock Transfer and other transfer agents where he addressed tradability, adverse claims, stop transfer orders, and matters involving The Depository Trust Company. Mr. Feinstein has assisted clients and other attorneys in securities offerings and the going public and staying public process including drafting and reviewing offering materials, registration statements, periodic reports and disclosures as well as schedules and other filings with the SEC and FINRA. Mr. Feinstein’s experience includes all corners of transfer agent operations, including submissions to the SEC, state regulators, and the Depository Trust Company. Mr. Feinstein has also assisted clients with transactional matters including risk disclosures and management, contract negotiation and complex corporate restructurings. Mr. Feinstein has been tasked with due diligence and investigation into securities fraud and issues regarding bad actors in the small cap stock market. Mr. Feinstein brings comprehensive international experience to assist multi-national corporations and investors with regulatory and immigration issues. He is a member of The American Immigration Lawyers Association (AILA). Mr. Feinstein has been a panelist at the PIPES Conference where he has addressed Crowdfunding and General Solicitation to Accredited Investors under the JOBS Act. Mr. Feinstein has been a Coast Guard Licensed 100 Ton Captain with Sailing and Towing Endorsement for more than 10 years and in this capacity has traveled the world extensively for sailing and fishing expeditions. He has been known to spin salty stories of adventures on the high seas and in exotic far flung places.